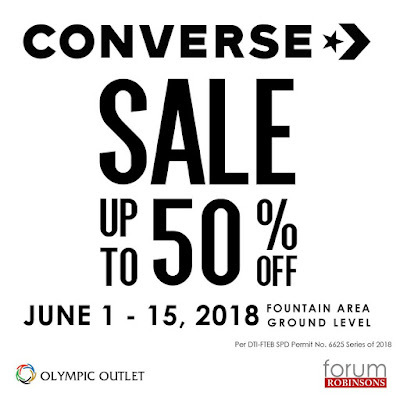 Calling all Converse fans who missed the Converse Warehouse Sale in Marikina! 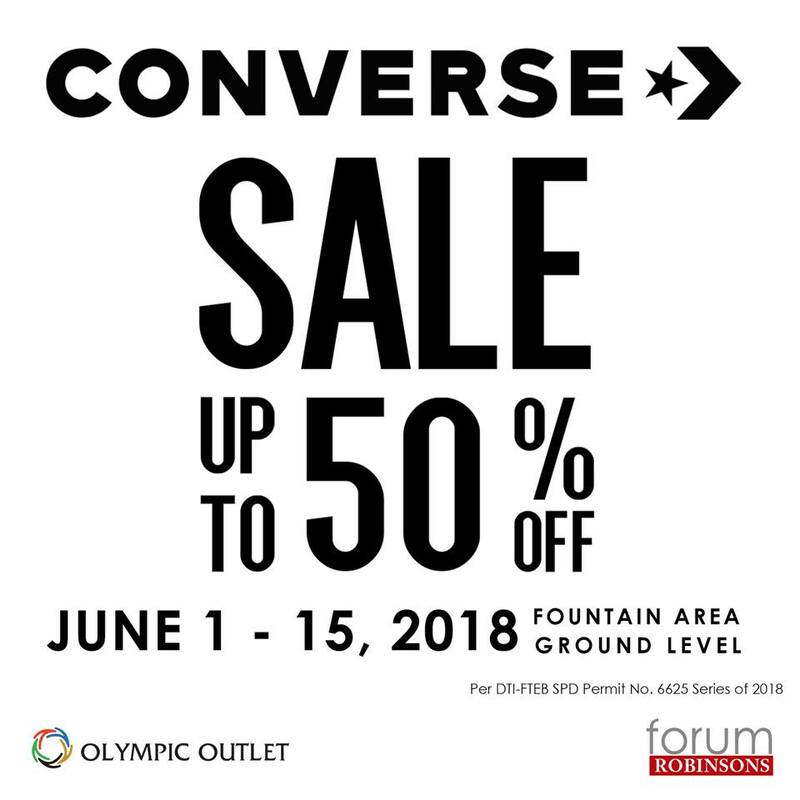 Get up to 50% off on selected Converse items at the Converse SALE happening until June 15, 2018 at the Fountain Area Ground Level of Robinsons Forum in Mandaluyong. Really!! I want to buy a possession.